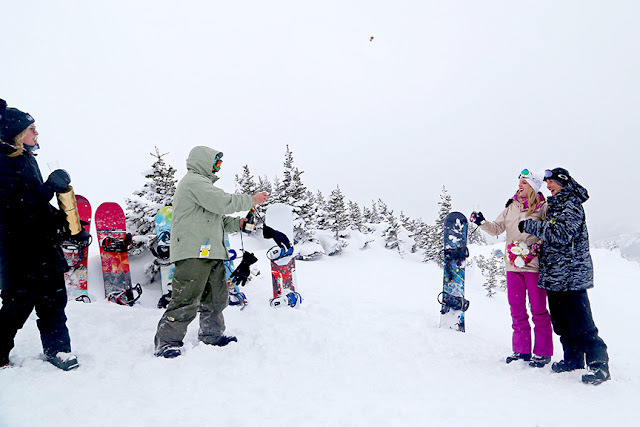 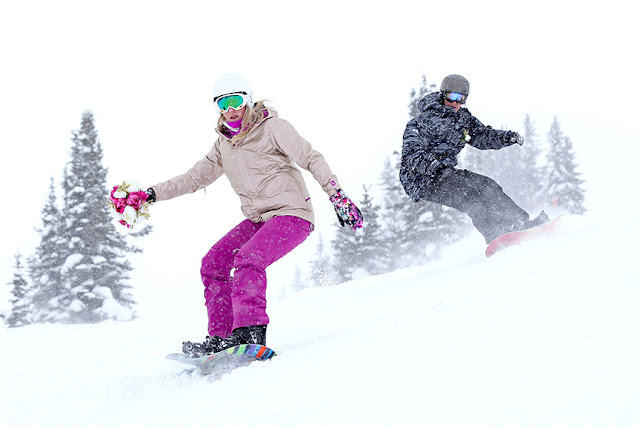 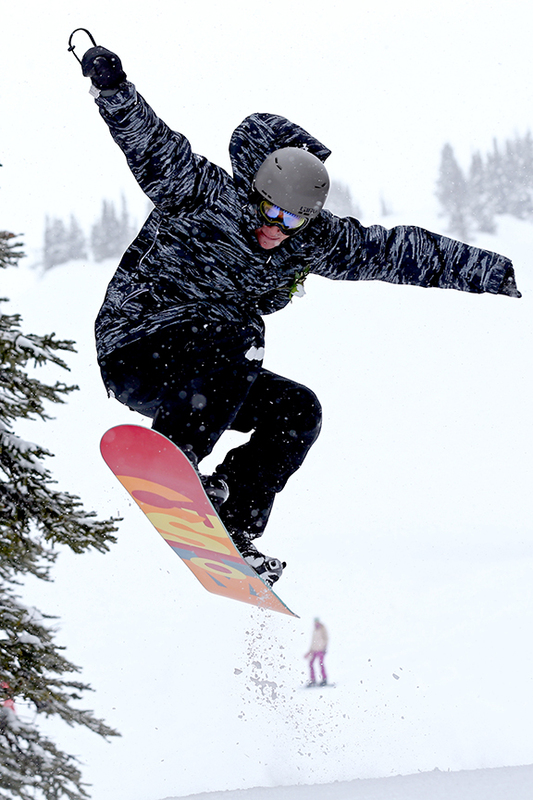 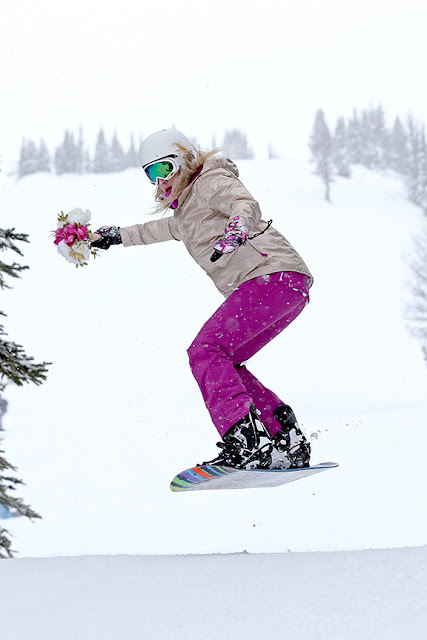 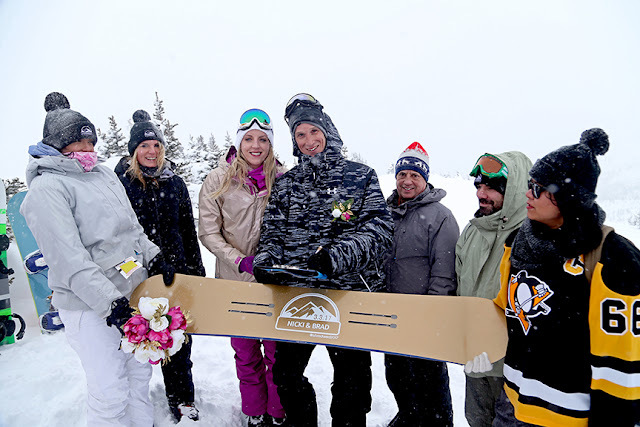 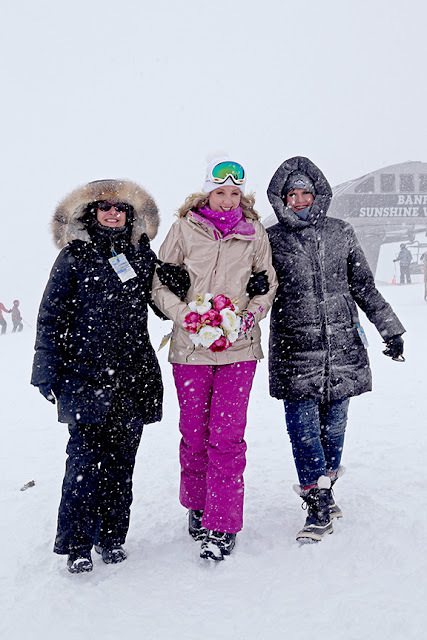 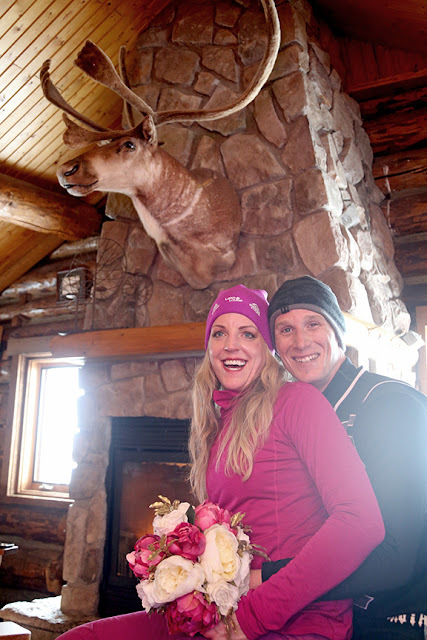 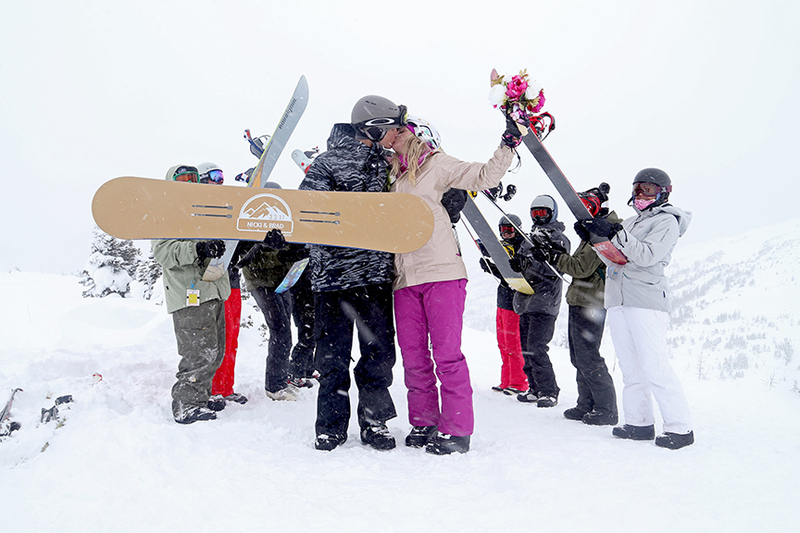 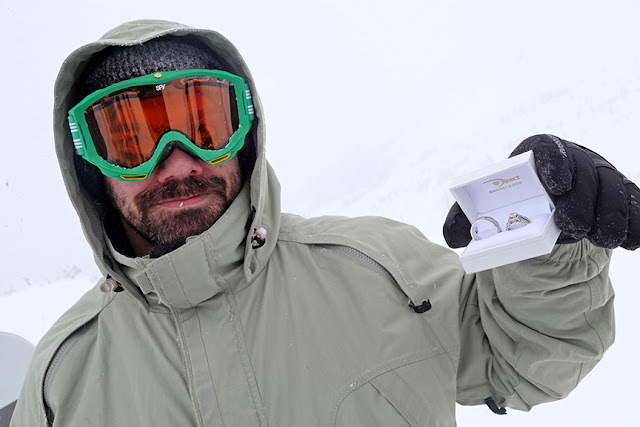 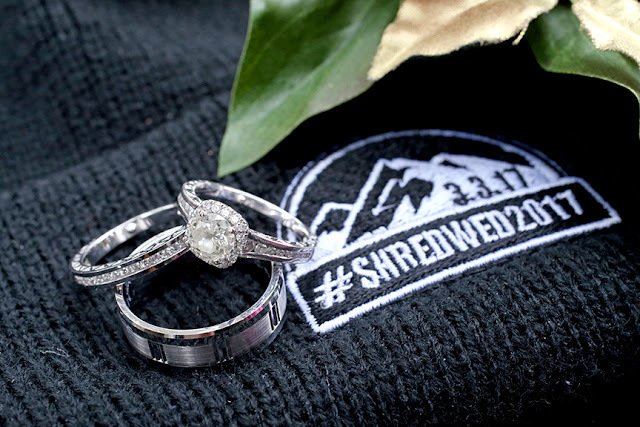 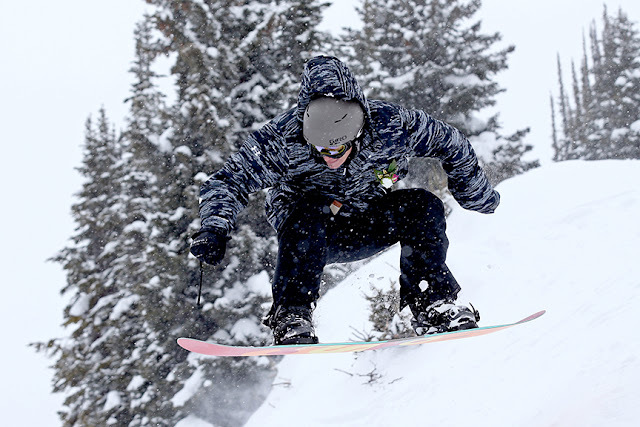 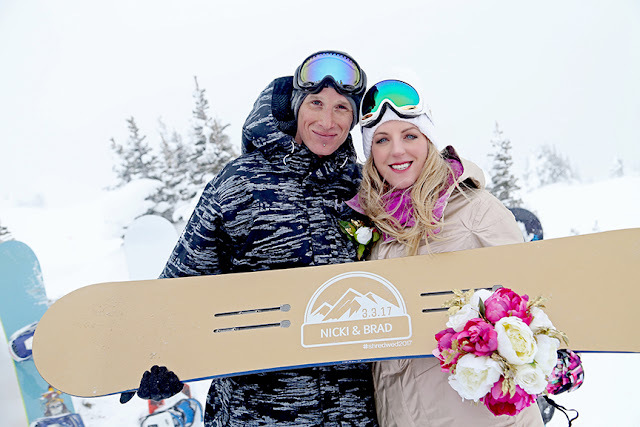 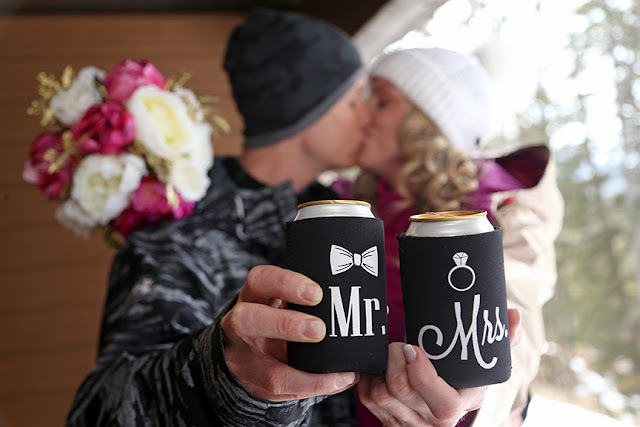 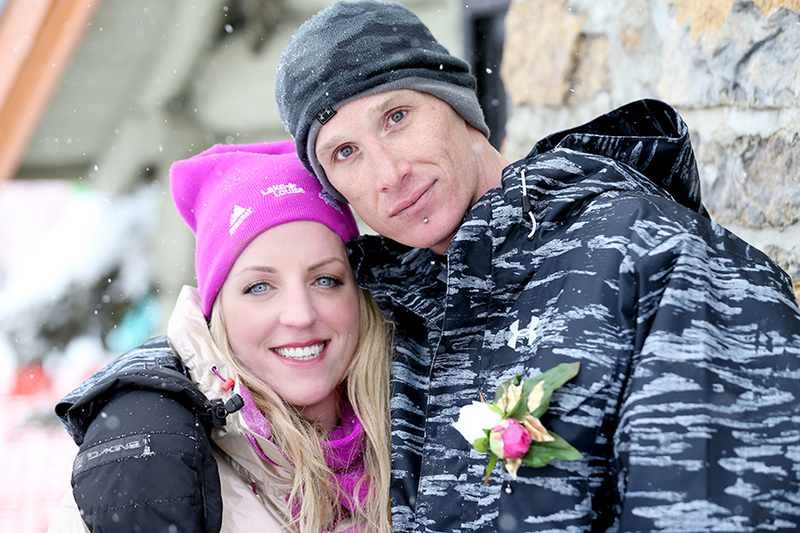 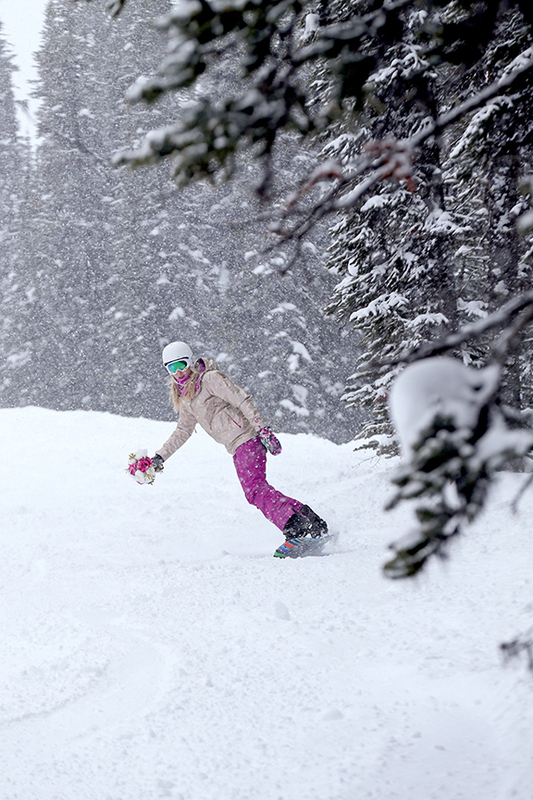 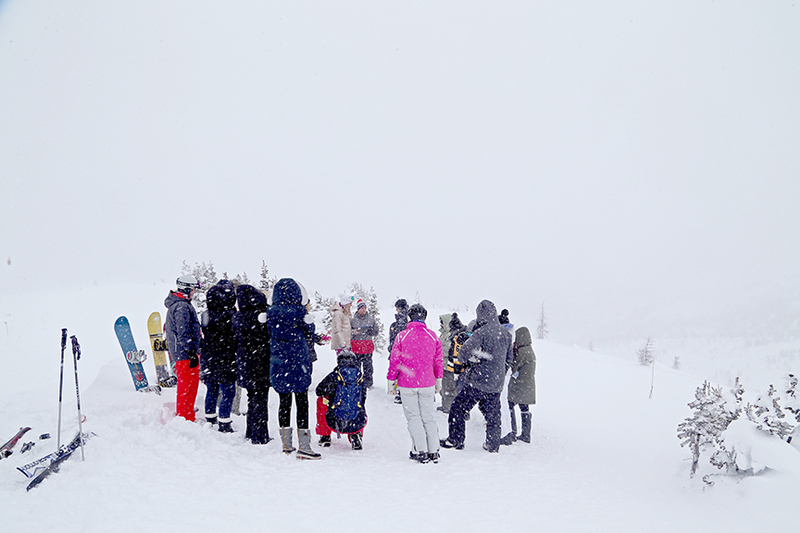 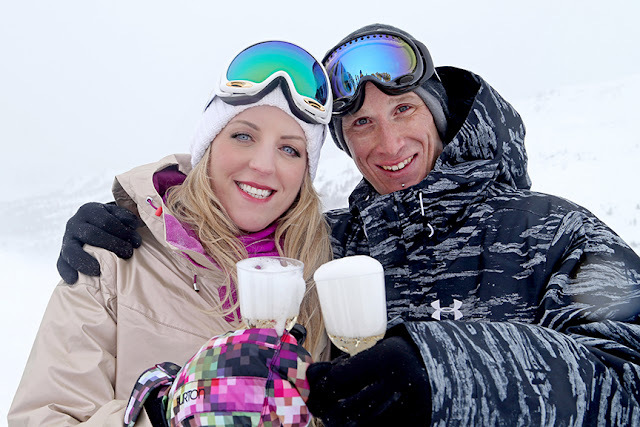 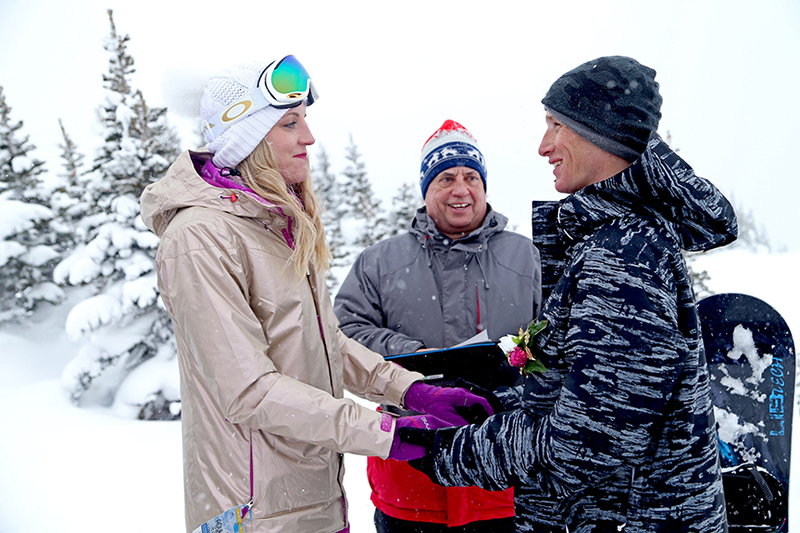 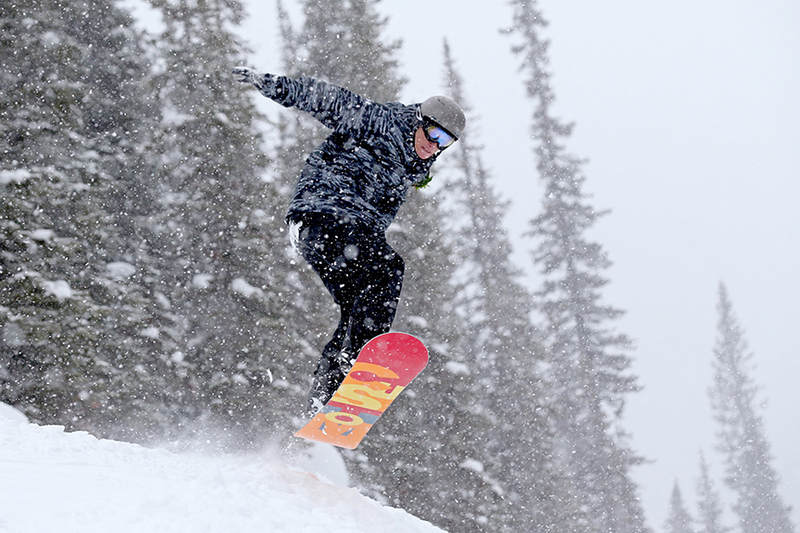 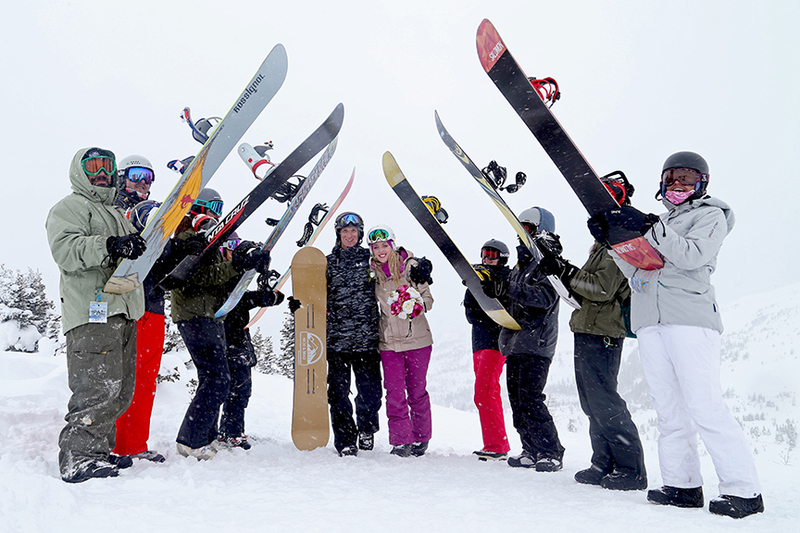 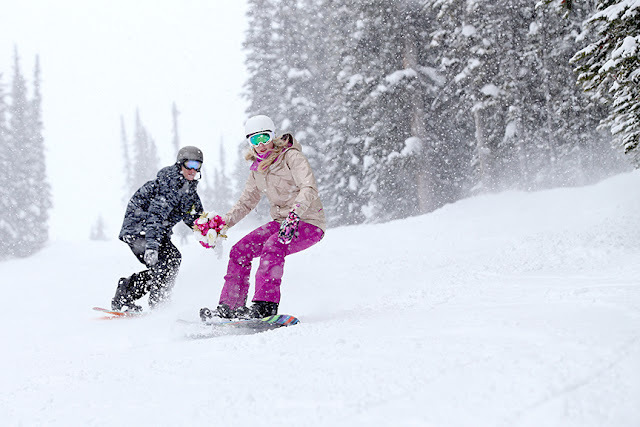 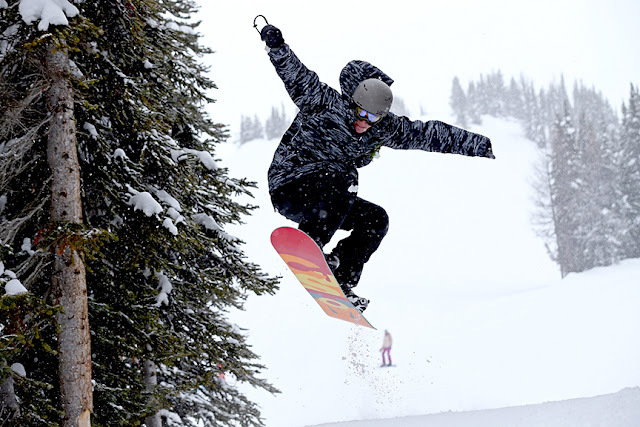 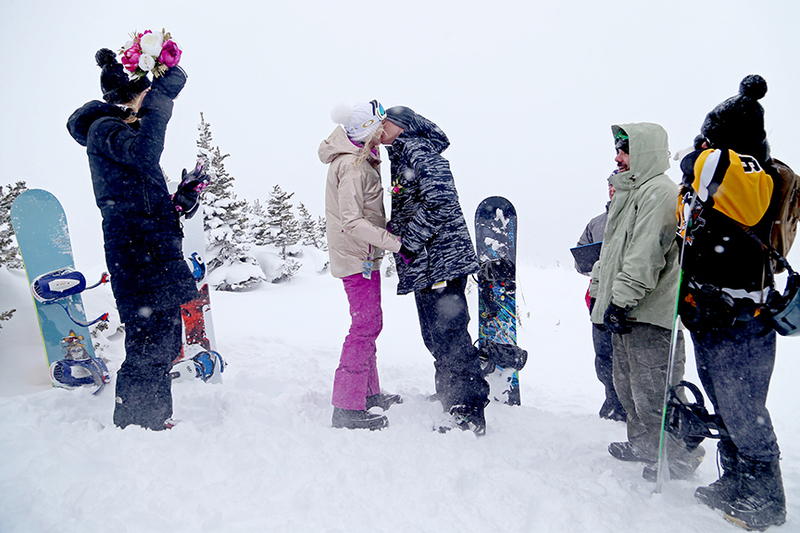 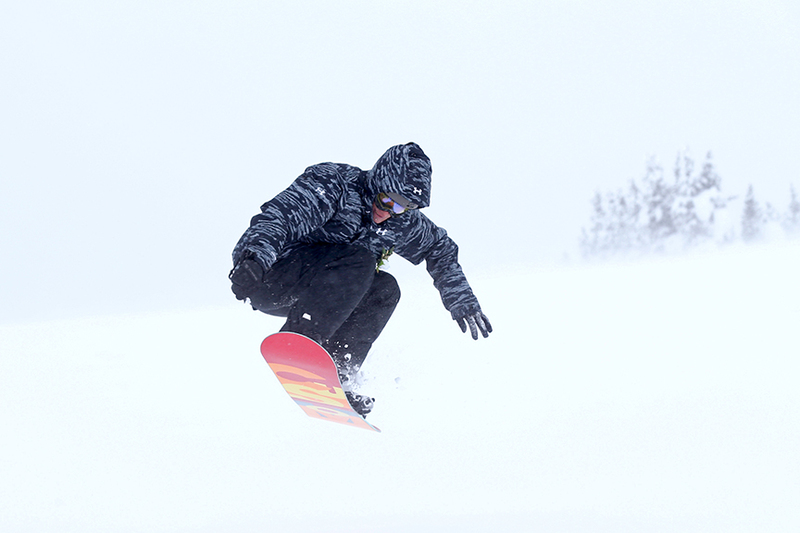 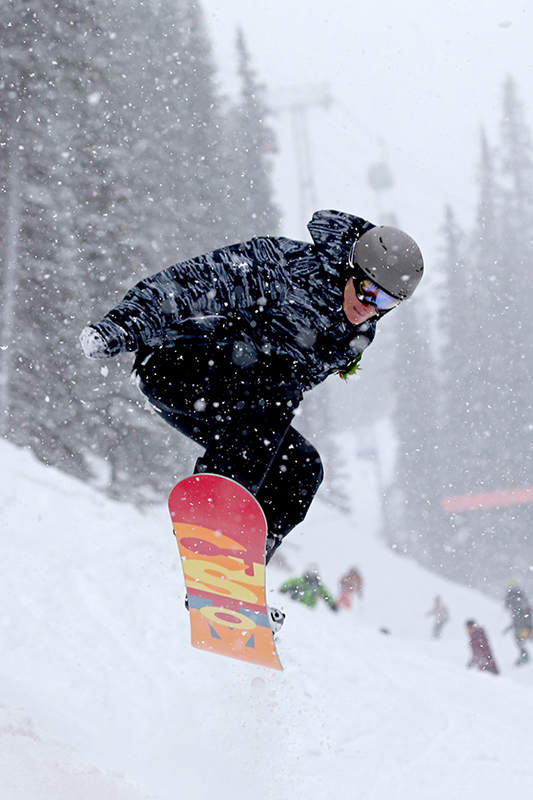 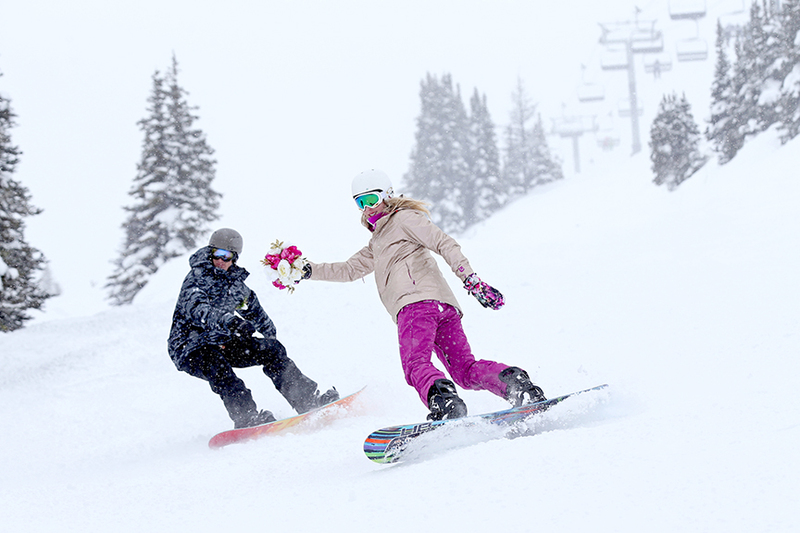 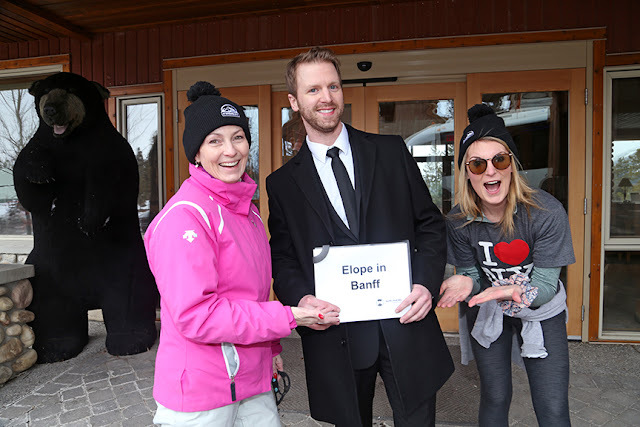 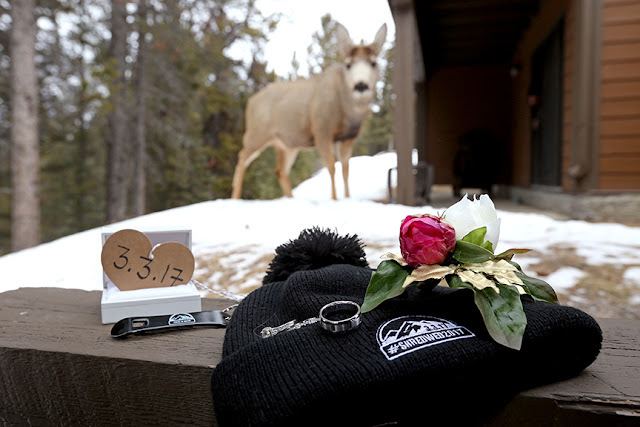 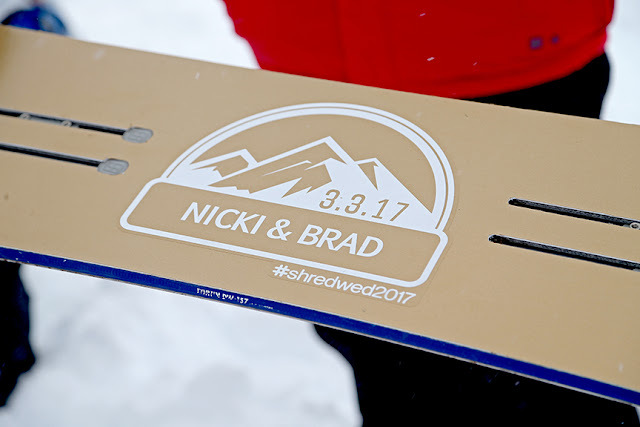 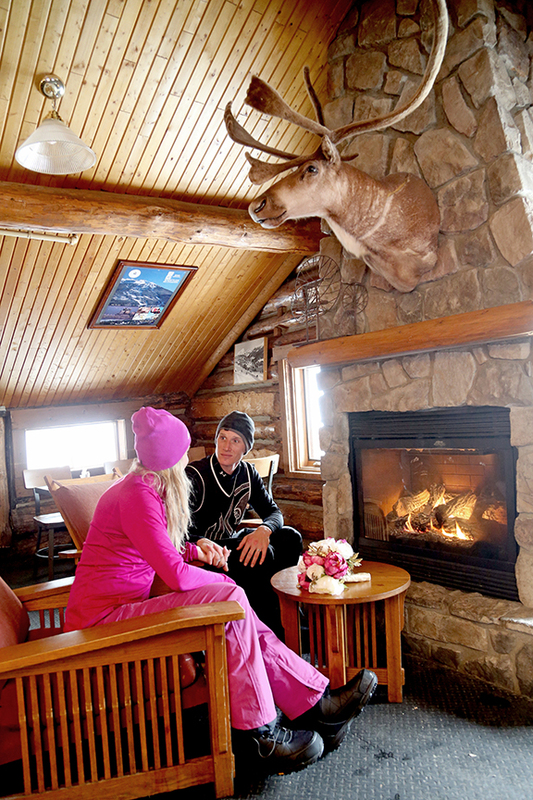 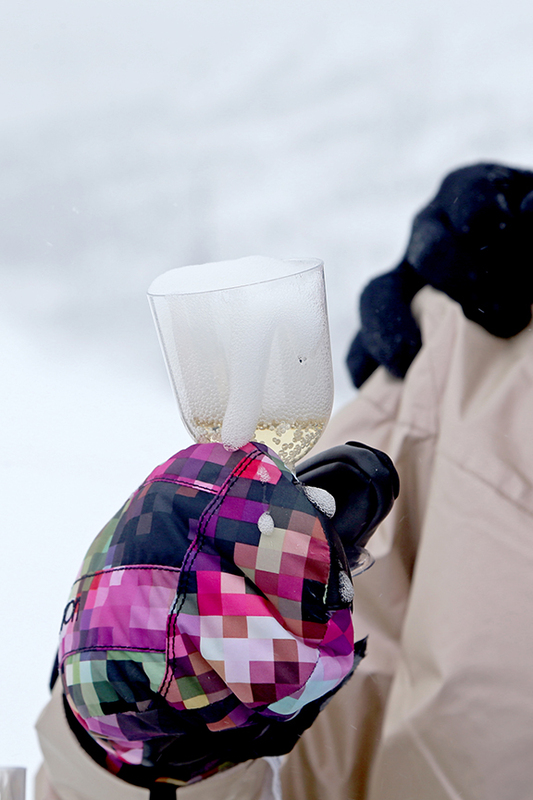 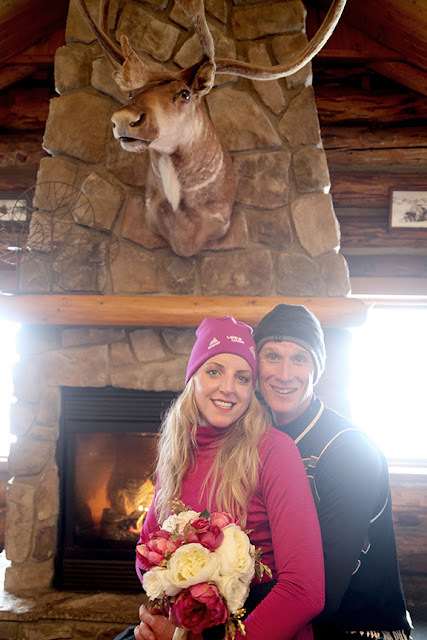 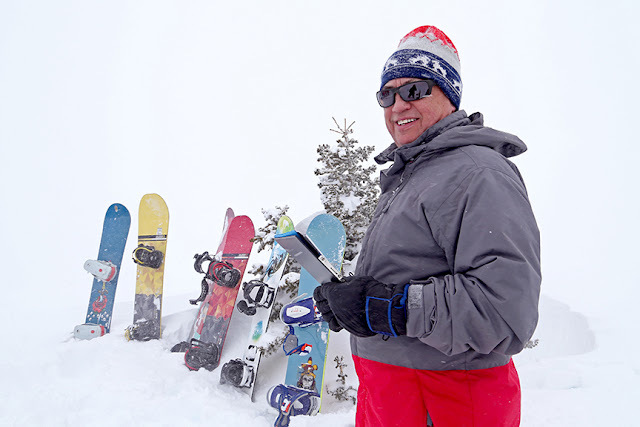 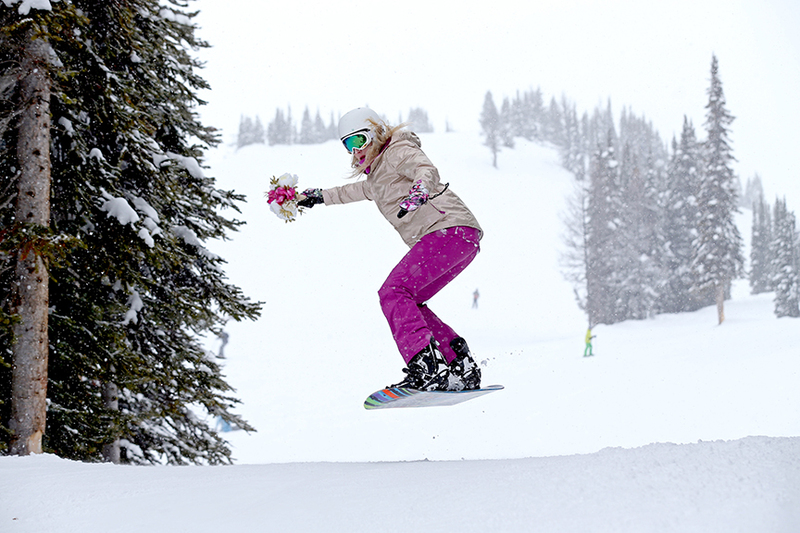 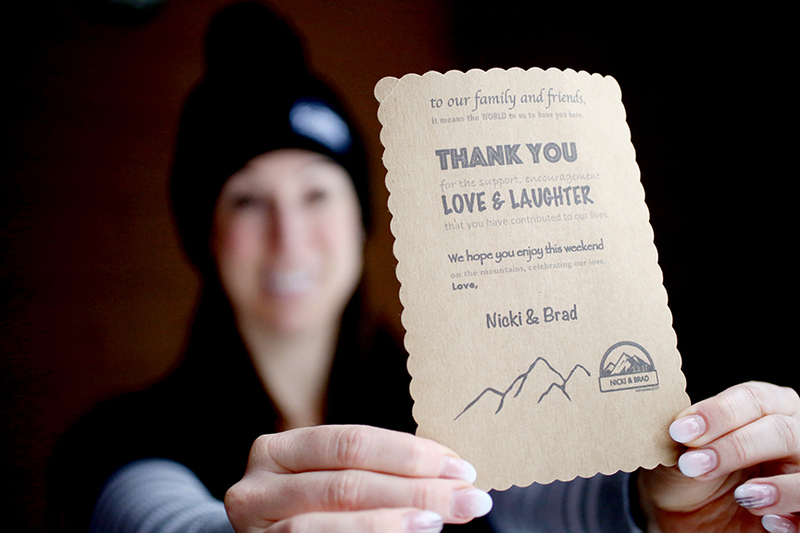 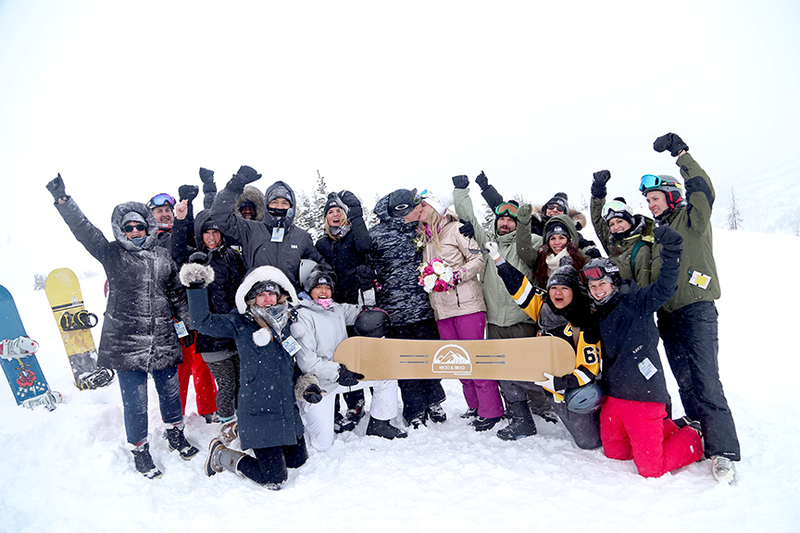 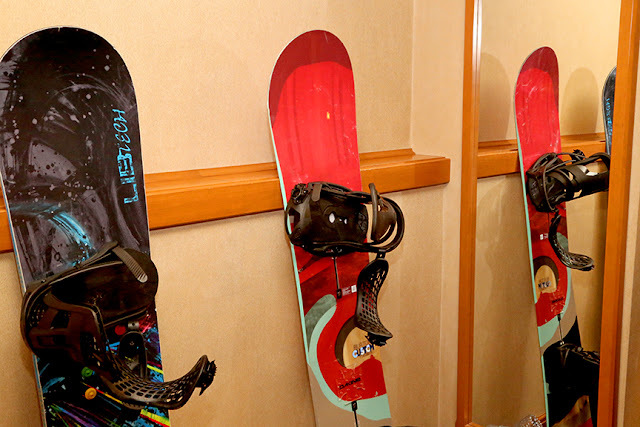 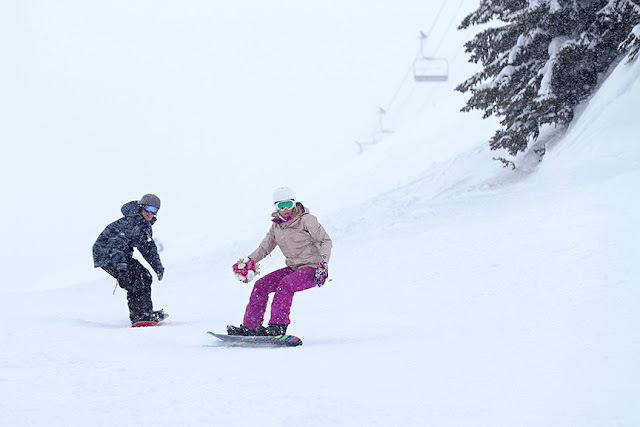 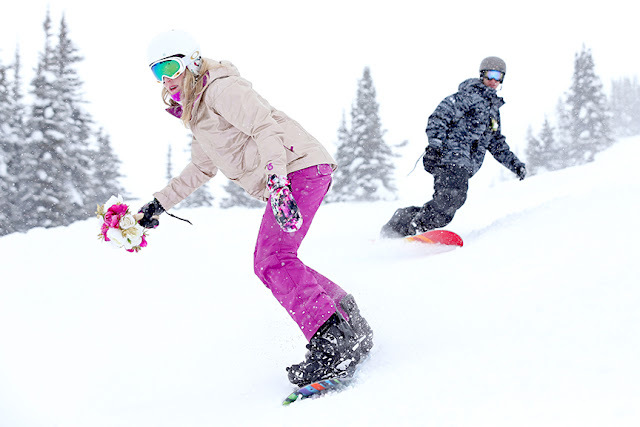 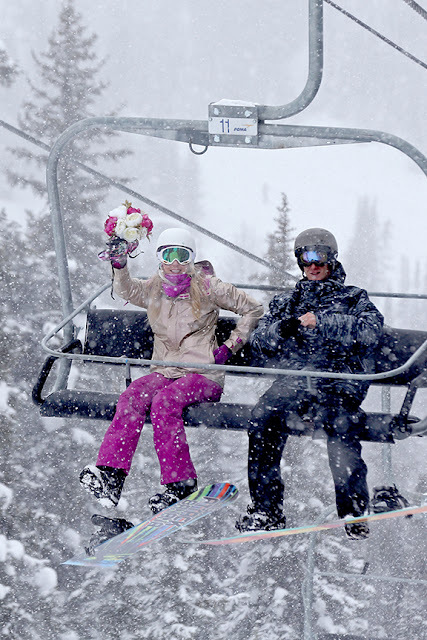 Snowboard weddings are so much FUN! top of of Standish for the wedding ceremony! Wishing Sam & Jon a lifetime of happiness!